Continuing the trends started with the Change Everything singles, two versions of the "Here and Now" single is released. One with live tracks recorded at "T" In The Park in September of 1994, and the other with two new songs, and one from the upcoming album Twisted. Releasing the now standard two versions of each single, the "Driving With The Brakes On" singles include three new songs. "Life By Mistake" is a mid-tempo rocker, while the final two bring the tempo way down. Slow purposeful, and masterfully played, these two songs showcase the slow side of rock and roll that isn't seen much. Starting a new concept is the Mini Greatest Hits packages. The b-sides of this single and and a later single, will give the collector a Mini Greatest Hits package. Although the emphasis should be put on the "Mini" part of the Mini Greatest Hits packages, as too many great singles are not represented. The "Roll To Me" single only brought one new song to the table, "In The Frame". It is a gorgeous, metaphor filled song that, undoubtedly, started many conversations between lovers everywhere. Also included are two acoustic versions of songs from the album Twisted. Both songs fare very well acoustically. Particularly "Food For Songs". The second part of the Mini Greatest Hits package, strangely includes two remixes instead of the original versions. 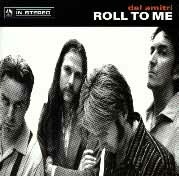 The US finally gets its own Del Amitri CD single in "Roll To Me". It also includes the first appearance on CD of "Someone Else Will", previously available only on a 10" vinyl single of "Here and Now". "Someone Else Will" is a slow, urgent, ballad that sticks in your head like all good pop songs should. Also released to radio stations, is a three track promo disc of "Roll To Me". With different mixes and enhancements. Mainly, moving the lead vocal to the center of the "stereo picture". The "Tell Her This" singles saw the release of many new recordings and old recordings at long last. "A Better Man" itself could have been a single. 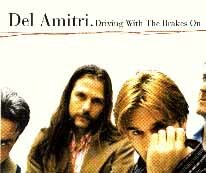 The alternate version of When You Were Young shows Del Amitri at work in an attempt at getting it just right. The second single sees the rerelease of "Whiskey Remorse" and the first appearance on CD of "Fred Partington's Daughter. Originally released on a 10" single of "Kiss This Thing Good-bye" in 1989. Also inlcuded is another alternate version, but of a b-side. "Learn To Cry" now has a middle section and a guitar solo. 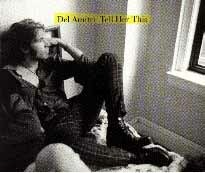 The US gets their second Del Amitri single, featuring a live version of "Tell Her This". A two track single was also released with acoustic version of "Food For Songs" as the b-side.